Today we look at Motorola MR350R. Grate gadget for your disaster preparedness kit and reliable everyday 2-way radio. This radio will help you keep in touch with family and give reliable weather information whether you’re on vacation, at the beach, or in the middle of a severe storm. The first thing we notice about this radio is the design. It’ looks very slick and compact with dimensions – 7.6″L X 2.3″W X 1.4″H. Its keypad layout is great, with easy to find functional buttons. Because of its large sized buttons, the MR350R is easy to operate with gloves. This is great option for for emergency workers or people who hunt regularly. Another excellent feature is the ability to charge your radio using a standard USB cable. People who will carry the radio on their belt will find the supplied belt clip and the flexible antenna design very useful. Another cool feature is the PTT (push to talk) button that has two separate power levels. Users can push the PTT low power button for longer battery life or the PTT high power button for greater transmit power longer distances (see below about distance). Motorola offers some great accessories for this radio model including headsets, speaker microphones, and changeable face plates. 22 Channels, each with 121 Privacy Codes. Inside the box you will find a standard drop in charger, two 3.6V rechargeabe batteries, two belt clips, and two radios. 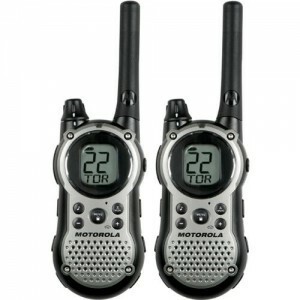 The radios have battery, transmit, and a busy on screen indicator, which gives you good operational information. Both radios can operate on both FRS and GMRS frequencies. They have vibrate capabilities, 121 privacy codes, and of course a talk confirmation tone also known as a “roger beep. There’s also a built in LED flashlight which is great for emergencies. We should also point out that Motorola included iVOX technology which means that without purchasing additional accessories you can use the hands free automatic transmit function. If you want to add style to your Motorola MR350R you could also consider the multiple face plate designs which are interchangeable. These radios are water-resistant, but should not be dunked into water since they are not waterproof. See our specials on waterproof electronics if you’re interested in such technology. We tested the MR350R’s NOAA receive capability and discovered it had strong reception of at least 4 weather frequencies – which is excellent for a handheld. A built in NOAA Weather Radio will keep you informed during severe weather. 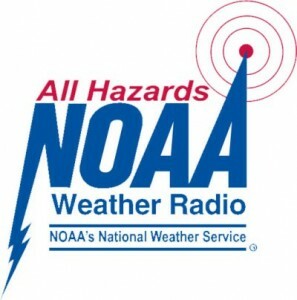 The National Weather Service operates NOAA Weather Radio which is a 24 hour, all year round radio service dedicated to broadcasting weather information. During periods of severe weather, they will trigger an alert tone. When specialized radios (Weather Radios) receive this tone, they can sound an alarm. Unlike the 1990’s, this newer radio technology allows people to program in Specific Area Message Encoding codes or S.A.M.E. for short. This will make the radio ignore all warnings except for those that impact your specific location. Motorola has the similar T9680RSAME which offers the Specific Area Message Encoding option whereas it’s not available on the MR350R. If you want a simple easy radio, the MR350R is for you. If your going to be hunting, fishing, camping, or regularly outdoors, then the MR350R is highly recommended (you would want to receive all weather warnings). Those who want more advanced radio with specific area technology should choose the T9680RSAME. 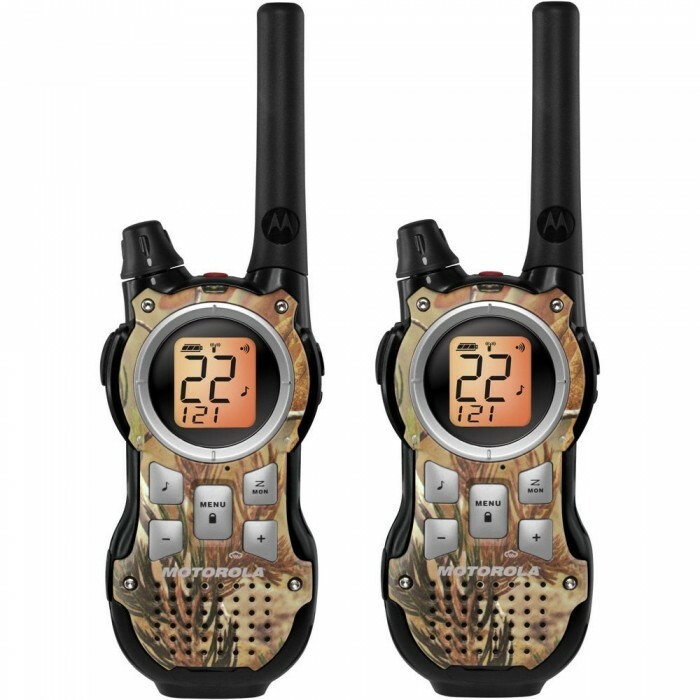 The primary difference between the models is the T9680RSAME has smaller buttons and no distress button on the top of the radio. Both radios offer Weather Alert technology which will warn you of hazardous weather. Weather Radios are also capable of receiving numerous message types such as Amber Alerts, Volcano Warnings, and much more because they are not just limited to severe storm alerts. Over the past 10 years weather radios have saved many lives. When seconds count, it’s good to have a warning device such as a NOAA Weather Radio Alert because it gives you the added time you need to get informed and react. The primary difference between the MR350R and the T9680RSAME (pictured) is the SAME capability. You will also notice the 9680 has a smaller keypad. Both radios have Weather Radio Alert functionality. Using two-way radios can be tricky sometimes especially in hilly areas or in dense city locations. For the best communications distance you will want to be in line of sight, with as little obstructions (buildings, walls, trees, etc) as possible. The best operations are from line of sight, hill to valley, etc. Sometimes atmospheric conditions can play a role in how far radio waves will travel. One important tip for outdoor use is to use as low power as mush as possible to preserve battery life. On the Motorola radios you can do this by not using the “Power Boost” function unless you have to. When using your radio we recommend carrying an extra pair of batteries so you know you can continue to operate if your original batteries are drained. Your best range is going to come from visible line of sight when outdoors. Save power by using the PTT low button. For greater distances, press the higher power or the PTT high button. Radio broadcast towers are powerful enough to be received indoors. To find out how your strong weather information signal, simply test it indoors. Place the radio in a location where the NOAA signal is strongest to ensure the alert function will receive the signal. Between the MR350R and T9680RSAME, the obvious choice for everyday outdoor use is the MR350R. If you’re going to be outdoors, you want to receive all weather alerts. The large keypad design of the 350R makes it easy to operate for people wearing gloves. 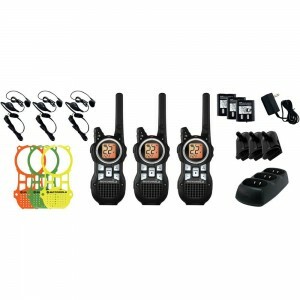 We tested this radios receive capabilities and can say that it has excellent reception. The ability to quickly chnage the transmit power, will save battery life. We are giving MR350R 4/5 star rating because of its ease of use, NOAA capabilities, USB charging, alkaline option, and keypad design. The NOAA Weather Radio signal strength is excellent. Motorola products such as this radio are available at Amazon, Best Buy, RadioShack, Target, Walmart, and numerous other retailers.